The other day, I went to pick up my daughter from school and parked my car along the street. As I was getting my son out of his car seat, I noticed a sister sitting on her porch reading a book while watching her two children play. We made eye contact and exchanged our greetings. Then, she approached me and told me that she ordered a translation of the Quran for one of her friends; it turned out that she ended up receiving two translations instead of one- she was reading the extra copy upon my arrival. She asked me if I wanted a copy for free, as she already knew arabic and did not need a translation. I could not believe it! Subhan’Allah! I had been searching for a translation of the Quran to read for quite some time, and could not find one locally. And here was this kind sister gifting me one! Subhan’Allah! Even typing this is giving me the chills! It amazes me because I usually don’t park in that spot that I did that day, for there is always a car there. But, that day the spot was free, and it was the spot right in front of that sister’s house! 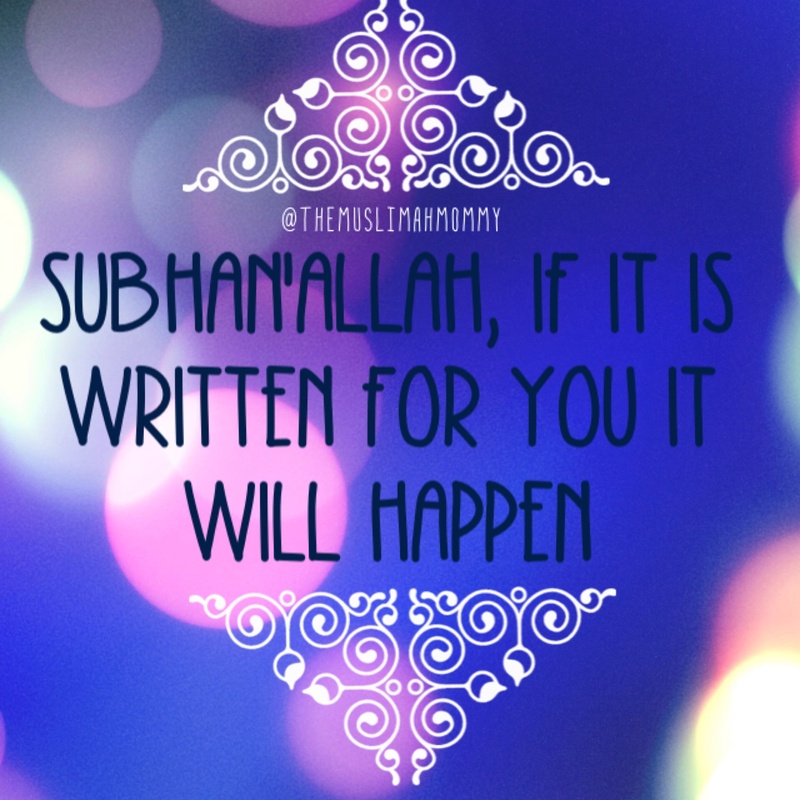 Subhan’Allah, If it is written for you, it WILL happen! Thank you so much for sharing that with me Zahara! Allah knows best, he gave you the Quran through your non-muslim friend who found it in the cupboard! Subhan’Allah! That is amazing!